This evening I am flying away from the flat land of Ohio to a much more mountainous state: Colorado. 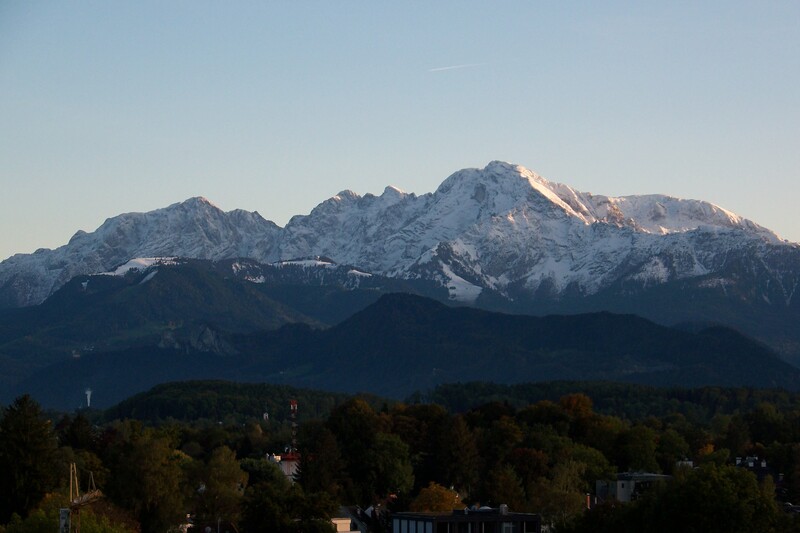 There are many things I am looking forward to there, but what I want most is to see some amazing mountains, just like these, the Austrian Alps south of Salzburg. I took this picture in October 2008 from the entrance to Nonntal Abbey on the back side of the Festung. There was already plenty of snow then, and I hope I get to see some snow on the Colorado Rockies. This entry was posted in Europe, North America, Photos, U.S., Wednesday photo and tagged Austria, Colorado, Mountains, Photos, Salzburg, Snow, Travel. Bookmark the permalink.